68: This Is Our Home: Pakistan/Iraq: Peter Tobia, photographer, photojournalist. 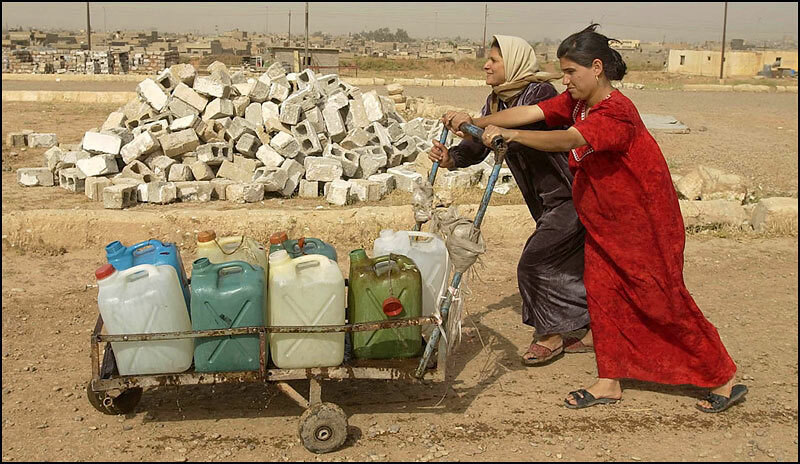 Kamal, front, pushes a cart of water back to her home with neighbor Mahaban Abdullah-Rahim. Kamal walks a mile three times a day to get water.